A Maintenance Contract Will Save You Time, Money and Hassle. 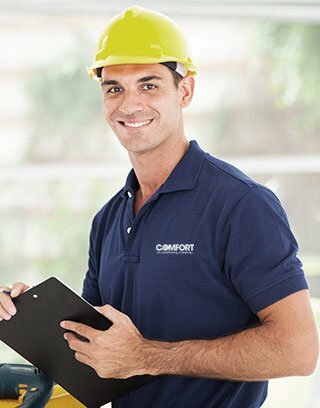 A maintenance contract from Comfort Air Conditioning helps recognize and correct issues that can cause extensive damage before they happen, and assures your heating and/or air conditioning system are running at peak efficiency all season long. We tailor each of our maintenance contracts specifically to your home, and we’ll outline all your needs and review them thoroughly with you. This way there are no surprises down the road. Essential services you can count on. Protect your air conditioning and heating investment, call Comfort Air Conditioning and Heating Today: 516-799-0700. For fast, professional service call Comfort Air Conditioning and Heating Today: 516-799-0700. We’ve been the trusted source for Manhattan, Brooklyn and Long Island’s elite home and business owners for over 20 years. Our team is highly trained in both legacy and modern, environmentally friendly air conditioning systems. Our focus is on excellence in everything we do.